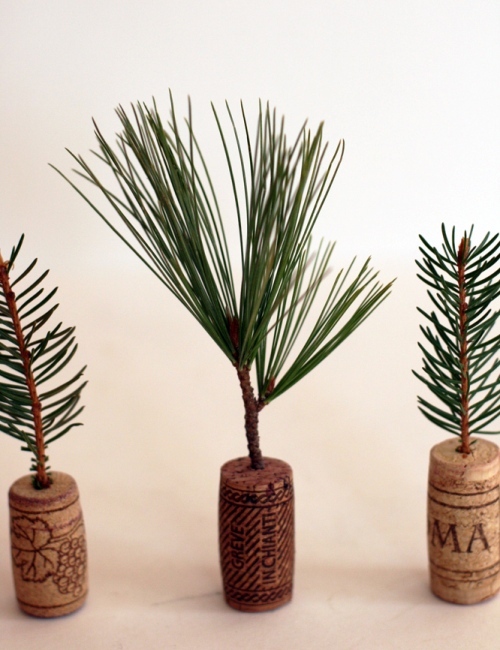 Given that my four kids and I love crafting, I collect things that look like they might be useful later: jars, pine cones, cool sticks, wine corks, etc. 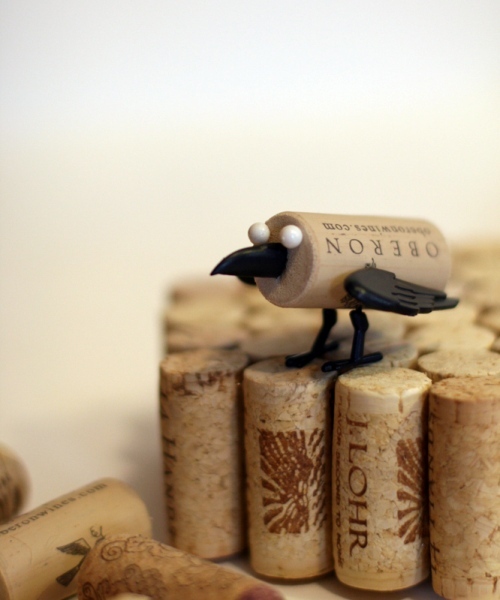 I recently decided to be more proactive in my collection of wine corks by sourcing local. 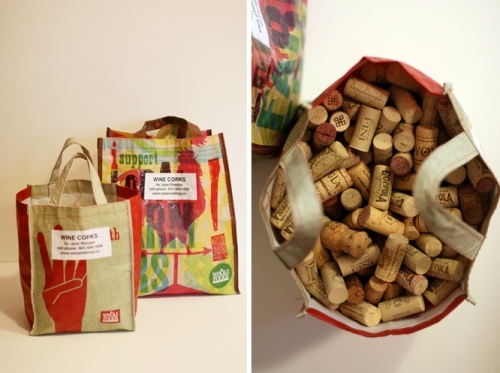 I printed my contact information on two reusable bags and took the bags to two local restaurants and explained to the bar managers that I wanted to collect wine corks for crafting with my kids -- both restaurants were happy to help! About six weeks later, the restaurants called to say the bags were full: presto, free recycled crafting supplies! 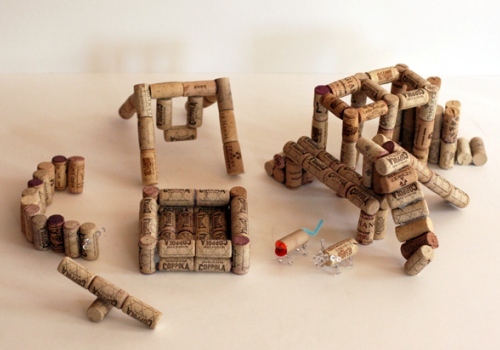 I didn't want to limit my kids' creativity by telling them what they should make and simply set out all the supplies (e.g., corks, push pins, pipe cleaners), encouraged them to build whatever they wanted, and provided some inspiration via these corkers from Paper Source. 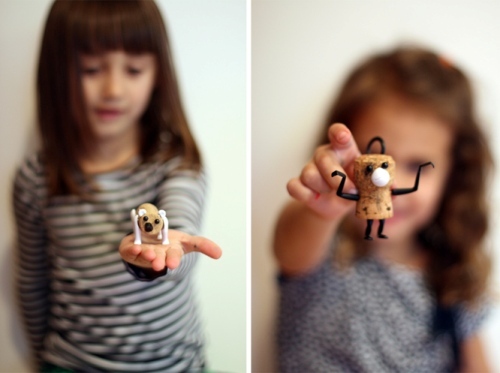 The kids loved them, and the corkers helped get the creative process started. 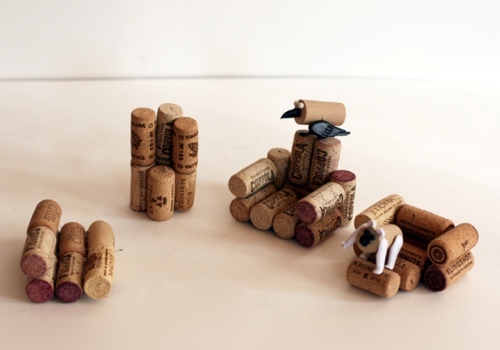 Before I knew it, we had wine cork animals with houses, furniture, and elaborate playgrounds! How cute is this little bird and monkey? 1. 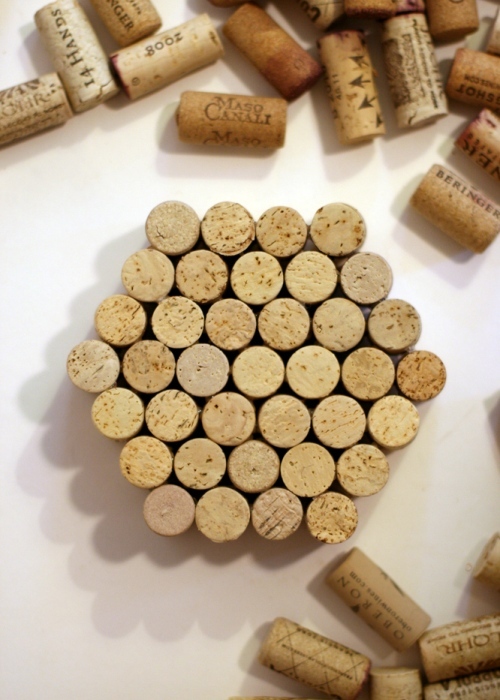 Start with one cork in the middle, and add a one row of corks around the outside in the shape of a flower. 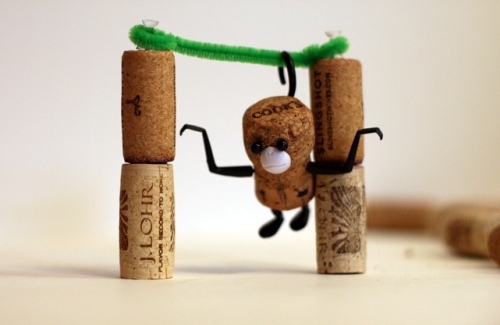 Hot glue each cork on individually to the corks next to it. 2. 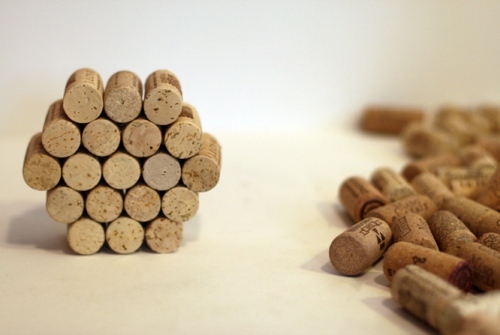 Keep adding rows of corks around the outside. 3. And voila! A new trivet with a very rustic/modern look for any kitchen! 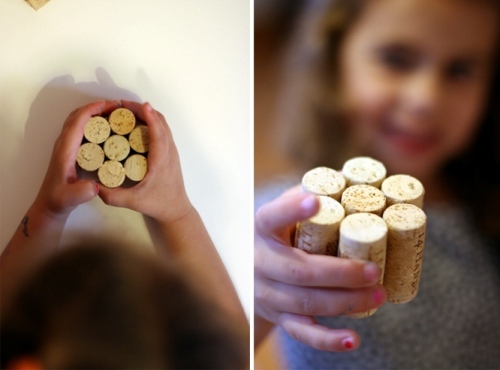 The beauty of crafting with corks is that it's open ended. We left the supplies out over the course of four afternoons. 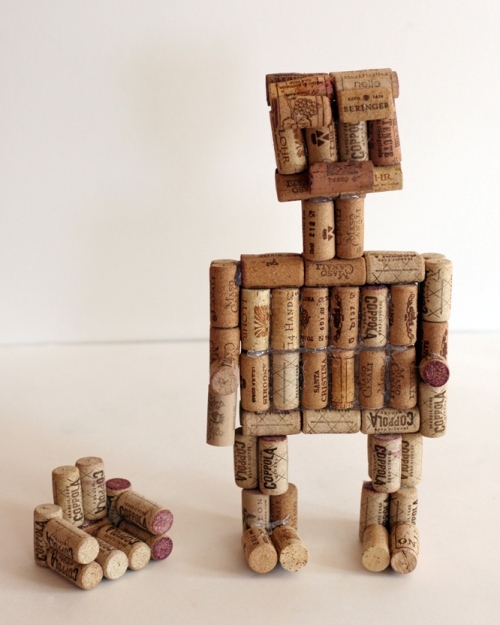 My kids kept coming back to make more and more wine cork creations. By the end of the week, we had a whole village! So label those bags and drop by a local restaurant or two to get the collection process going -- hopefully you'll collect plenty by the time February and April vacation roll around! And most importantly, have fun!